In this post I will describe the mistake that cost me a free stay at a posh hotel worth over $690. More importantly, I’ll explain how you can avoid making this mistake! It was a dumb mistake but I had never been warned about it, so I learned the hard way. Oh well, sometimes the hard way is the best way to learn something. But who says is has to be your hard way? Read on to learn from mine. . . The year was 2014. I had just gotten my feet wet with my first ever points redemption and I was planning my next big trip. Up to that point I didn’t have any experience with hotel programs; only frequent flier and miscellaneous points programs. I only had one hotel credit card, the Citi Hilton Reserve. I was in the middle of secretly planning the surprise European vacation for Nicoleen’s and my 10 year anniversary. The flights were booked and all I had left to do was reserve a hotel room for the last night of the trip. We would be flying out of Amsterdam but only spending one night in The Netherlands so I wanted to make it a memorable one. 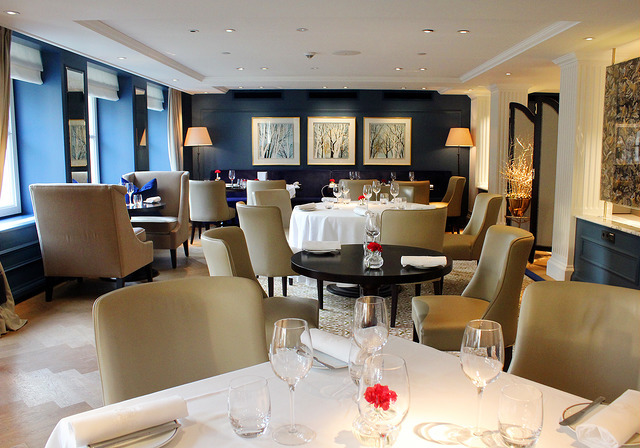 Waldorf Astoria Amsterdam Goldfinch Brasserie. CC Image courtesy of currystrumpet on Flickr. What better way to make a one night hotel stay memorable than to book one of the fanciest hotels in the city, right? (Ah, the fun things you can do when you use value tactics!) I had my eyes on the new Waldorf Astoria Amsterdam. The hotel is in the heart of the city and consists of six 17th century palaces, previously owned by the who’s who of the time, including two mayors. Waldorf Astoria Amsterdam. CC Image courtesy of David van der Mark on Flickr. 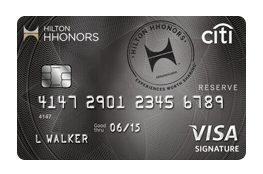 I planned on using one of my free weekend night certificates from the sign-up bonus on my Citi Hilton Reserve card. I had already finished the minimum spend for the bonus and was just waiting for the certificates to show up in the mail. In those ancient days the certificates still came in the physical mail. What I didn’t know, however, was that the free nights were credited to your account 1-2 weeks before the paper certificates showed up . . . In my recent post about another trip where I used the same kind of Hilton free nights, I touched on how to find available rooms on the Hilton website. In a nutshell, to use the certificate the room has to be available at the “standard” reward rate. The standard rate is always a nice round number of points. In the Waldorf’s case, it’s 95,000 points. I knew the room wouldn’t be available forever. In-demand Hilton properties have a very limited number of rooms available at the standard rate. I was booking 7 months in advance but it was for July, right in the middle of vacation season in Europe. Every day I checked the website and every day I still saw the room available I got more and more nervous. The free night certificates had to be coming soon! Finally the certificates arrived in the mail! This was going to blow Nicoleen away! Staying at this ridiculously elegant Waldorf Astoria for free would really lock in the first class status of our trip! That day I didn’t check the Hilton website. I had just checked the night before. What were the chances someone booked that particular room on that particular night, and that it was the very last one left at that rate? I picked up the phone and called the Hilton HHonors booking line. I told the rep the hotel location, the dates, and the payment method. What?? How?? Sure enough, someone had booked the last room left at the standard rate, 7 months in advance, less than 24 hours before I called to reserve it! The worst part about the whole deal was that the free nights had been credited to my account for two weeks before I got the certificates. I could have reserved the room any time during those two weeks and it would have worked. But no one ever told me about the delay. According to the Flyertalk wiki the certificates now come via e-mail, and they come as soon as the free nights are credited on your account. So the particular scenario that I screwed up isn’t a worry anymore. However, there’s a broader lesson here. . . The take-away from my mistake isn’t actually about the timing of free night certificates. It’s about the scarcity of hotel and flight award bookings. This wasn’t the first time during this trip’s planning phase that I had to settle for my second choice. When booking our first class transatlantic flight, I had planned flying business class. For virtually the same seat and service, the business class seats were 50k miles, versus the 62.5k required for first class. Days before I booked the award flight, all the business class options disappeared. If the hotel or flight award booking is easily refundable/changeable, lock in your reservation right away! Desirable award flights and hotel rooms are hot commodities, and they disappear all the time. Don’t trust them to still be there after you get all your other plans lined up. If you end up changing your mind, most programs allow a quick and convenient way to have your points refunded. It all worked out in the end for Nicoleen and me. We ended up staying at my second choice hotel, the Hilton Amsterdam. I recently wrote a review of this awesome hotel. It was not quite as blown out as the Waldorf Astoria, but we still enjoyed it and it served our purpose nicely. 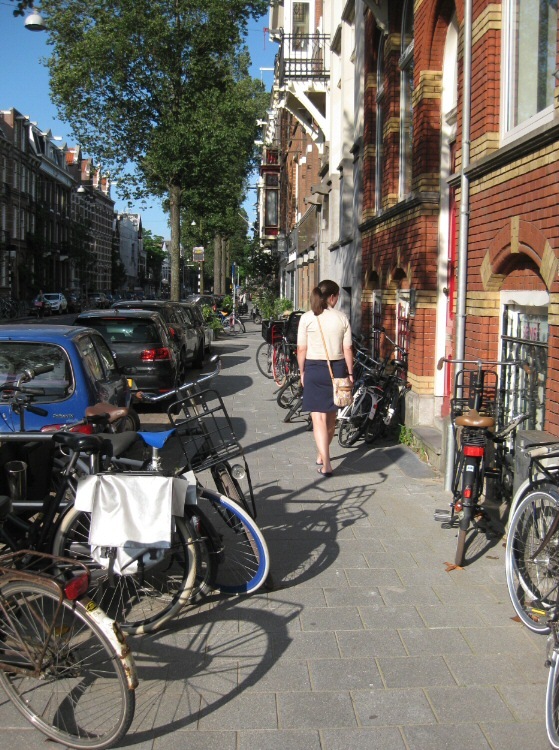 We had a great (but short) time in Amsterdam, despite staying in our second choice hotel. 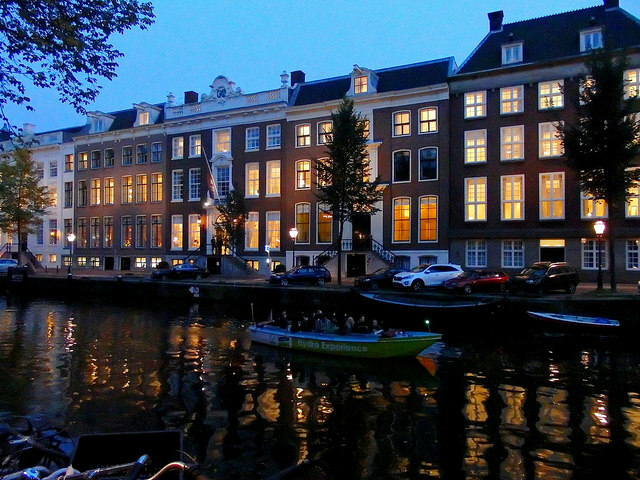 The Hilton Amsterdam is definitely a worthwhile use of a free night certificate! Some images in this post made available through a Creative Commons license. Click here for info. This entry was posted in Hilton, Mistakes, My Story and tagged Amsterdam, Anniversary Trip 2015, Waldorf Astoria on May 25, 2017 by Gomanson.